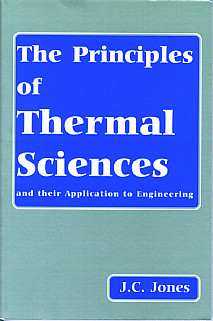 This book presents an integrated approach to thermodynamics and heat transfer suitable for undergraduates on a number of courses. In addition there are many numerical examples throughout the text and at the end of each chapter. Ideal for tutorial use or private study: solutions booklet available for lecturers. :an ideal book for courses in mechanical engineering, chemical engineering, fuel and energy technology, fire science and related subjects. 'The author should be congratulated on a clear exposition of a difficult topic in a very well written book which is well prepared with crystal clear text and line drawings. At a price of less than £17 it is a good buy and can be thoroughly recommended as excellent value for money.' Fuel.